With those whom misfortune's made poor. To keep off the wolf from his door. When a poor fellow needs it essist him, [down. And swallows the little he's made. Before he'd such misery seen. To help all you can from your store. To helf you as you've helped others. Two ballads. 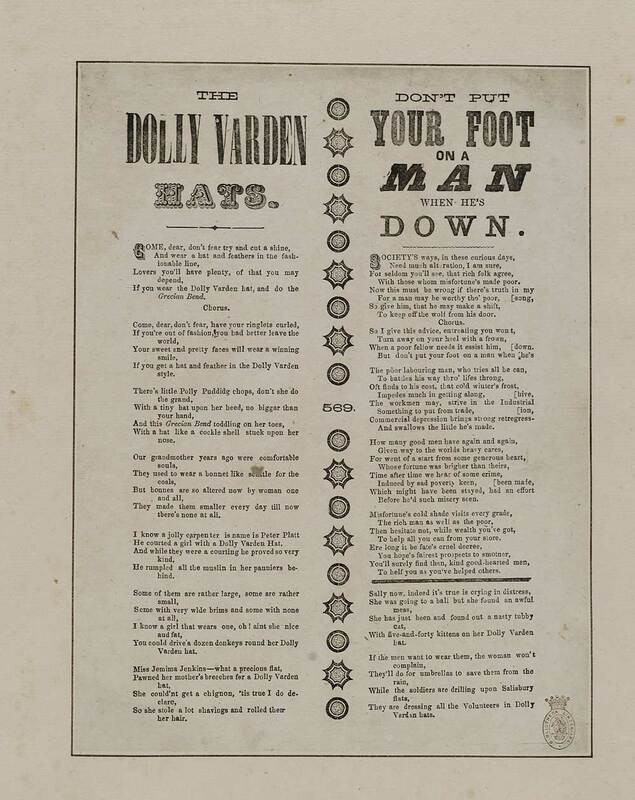 The Dolly Varden hats - first line reads: Come dear, don't fear try and cut a shine. Don't put your foot on a man when he's down - first line reads: Society's ways, in these curious days. In two columns.